If you are looking for mild Mediterranean climates then make camping in Nice, France your next holiday adventure. 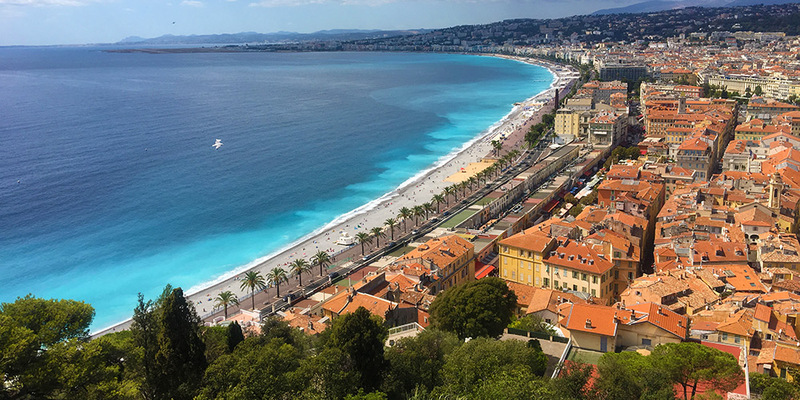 Situated at the foot of the Alps, on the south east coast of France, Nice is the second-largest French city on the Mediterranean coast and the second-largest city in the Provence Alpes Côte d’Azur region. 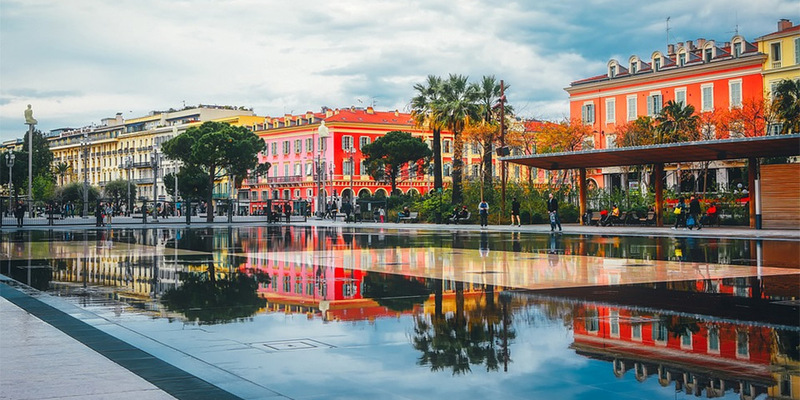 Not only is it a beautiful city, full of things to do and sights to see, but it’s a great base for visiting other places nearby, such as the home of perfume, Grasse, or the home of the international film festival, Cannes, to name but a few. Historically, Nice has been home to many an artist and as such has numerous art museums to keep you busy. Aside from art, there are gorgeous historic buildings to admire, vibrant street life to wander through and beautiful beaches coupled with year ling sunshine to relax in. Canvas Holidays have a range of excellent campsites near Nice ready to welcome you to Nice, and the beautiful Côte d’Azur region. Take a trip into the hills above Nice and you’ll find the small village of Annot, Provence. This is a great spot for those of you who like rock climbing thanks to the sandstone of the Gres d’Annot. For those of you who like to keep two feet firmly on the ground this little village is rich with history to explore. Take a walk through the medieval alleyways into the old town and soak of the views of the red roofs while investigating the legends behind this little village. Close to Nice airport is Cagnes Sur Mer, another beautiful seaside resort with a long pebble beach and Medieval village. Here you can find two of the area’s most famous attractions, Renoir House and the Grimaldi Castle. Both well worth a visit when camping in Nice France. Between Nice and Monaco you’ll find Beaulieu-sur-Mer, a beautiful town situated along the Riviera sea front. This is a tranquil haven that attracts a wealthy crowd for this reason. There are plenty of luxury shops, a casino and quality restaurants here to peruse. 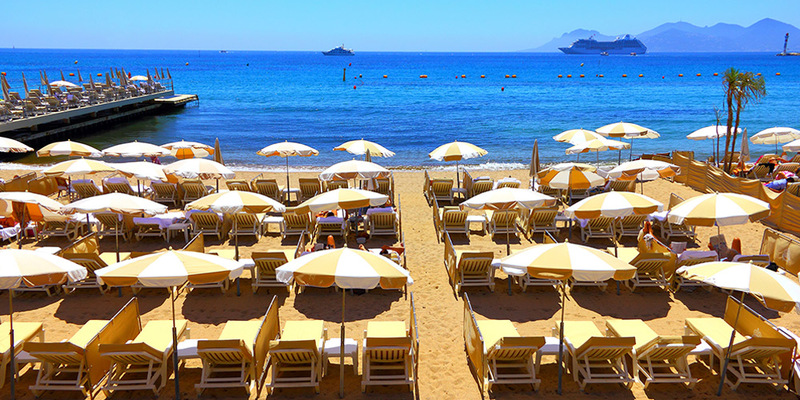 Home to the international film festival and some of the finest luxury shops, Cannes offers opulence a plenty. Sit back and people watch while sipping on your vino or stroll along Boulevard de Croisette, passing by upmarket boutiques and fine dining opportunities a plenty. No visit to the Côte d’Azur area is complete without a visit to the home of perfume! Set in the heart of the French Riviera, in the hills above Cannes, you’ll find the peaceful Grasse. Full of history, attracting royalty throughout the ages, Grasse is the perfume making capital of the world. Take a free tour of the factory to learn all about the intricacies of perfume making. The Côte d’Azur region has so much to offer holiday makers with its rich history, culture and activities, it’s hard to see it all in just one holiday! Walk among the many stalls at the local markets and pick up an artisan treat to remind you of your visit. Take a stroll around one of the many art museums – some of our favourites are the Musées Matisse, Chagall and d’Art Moderne. Rent a bike or some skates and glide along the length of the promenade which runs the whole 4km length of the Baie des Anges. Take in the view and climb the Colline du Chateau (Castle Hill) where you’ll gaze across the red roof tops all the way across to the Alps. Take time away from the beaches and feel at one with nature in one of Europe’s largest greenhouses at Parc Phoenix – not only are there beautiful plants but also animals including flamingos and iguanas. Walk among Nice old town of Vielle Ville, a beautiful maze of streets offering plenty of shops and food options. Although there are no campsites in Nice itself, Canvas Holidays has a great selection of beautiful hand chosen campsites near Nice, and the surrounding areas, to suit every style of holiday maker. Looking to make Nice your next camping holiday? Check out our campsites near Nice below or call our knowledgeable customer advice team on 0345 268 0827.